A Dynamic Business for those who like to Shift Gears!! I’ve been a dealer since 1997. Used AMSOIL as early as 1994 and became a full time dealer in 2003. I believe I had 80 dealers just before going full time as I had one of the earliest large scale AMSOIL dealer websites. Many of the dealers were local so I had a lot of opportunities to hear many of the common issues regarding new dealer expectations. Just like any business planning is a major part of success. 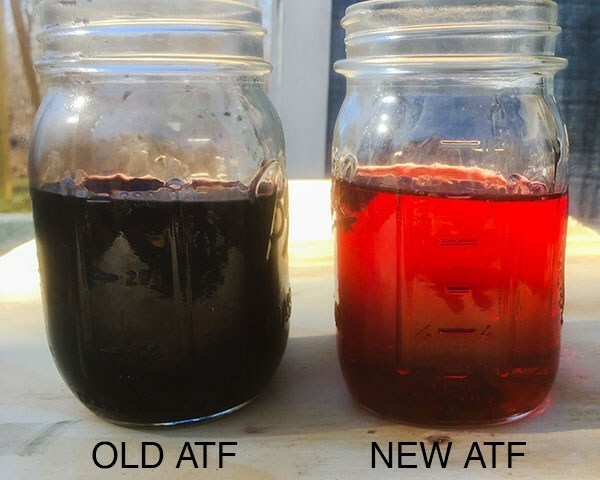 With the AMSOIL business you do have the advantage of a business which can grow as large as you like depending on your own efforts but you can build it at your own pace. If something is not working there is no reason to quit – just re-examine what you are doing and adjust as time allows. Last week in fact, AMSOIL announced the online addition of AMSOIL U! No longer will dealers have to make the trek up to Duluth, MN for yearly training. The course material hovering around sales and markets for AMSOIL is all online and will be expanded as time allows. This should double dealer retention, increase overall sales by at least 20% and make the whole thing so much easier for new dealers to expand business as outlined below. Knowledge is a great thing! So I come to my point of this post. The AMSOIL business is dynamic. What works for one dealer may not work for 20 others. But the most successful dealers have some form of balanced business. 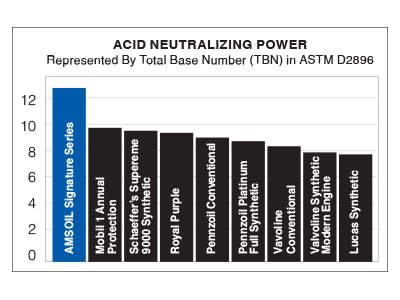 AMSOIL corporate reported once that of the top 20 earning dealers, no two operated the same. One quote from the most successful dealer to me was, “When something doesn’t work or if I seem to run into a wall, i just keep researching what works or I study the next technology and work it into my business. I don’t make excuses for myself or blame AMSOIL. The products are in demand and they work – I only have to use a few of many formulas to get them out in front of the customers. An ideal AMSOIL dealership will take advantage of all the programs simultaneously. Internet sales – which can draw and support any of the above programs when done properly. Many successful dealers will have business from all of these but one or two perhaps just amount to 5% of the total. I try to have a little of all but my strength lies on my dealer and retail end. The cut of the pie depends on your personal likes and abilities. There are several dealers who are all Commercial accounts. Some of these which one dealer failed or performed miserably, he later figured out another method to achieve success and mastery. There are so many ways to build you a great business it definitely is worth the simplicity of signing up. And now we have so many things working for us which weren’t available in the past. So as you build your AMSOIL business or at least join right away to observe and learn the technical details of the products you can be mapping out your strategy. You have to join as an AMSOIL dealer to have access to the Dealer Zone and the training materials. Become T1 Certified (dealer zone AMSOIL University) and continue the training. Certification gets you listed on AMSOIL’s Corporate website. Dominate locally – Make sure you are listed in the Google/Yahoo local free listings, maps and have a simple WordPress site like mine aimed locally as the local AMSOIL supplier. This is actually easier than it sounds but the one step very few dealers even try to grasp on their own. My prior newsletters on the subject will get you started. A WordPress site ranks high in the searches and you can also do blog posts which allows customers to find you based on the content. AMSOIL business cards are cheap – hand them out to everyone. Post them everywhere. AMSOIL Dealer Booth – Have a booth at local events. Customers who already know about AMSOIL now know where you are. People who don’t know about AMSOIL will learn. Trade shows, car/motorcycle/brand enthusiast conventions, rallys, highschool local business exhibits, job fairs, farm shows, equipment shows, etc – they are there. I’ve had many dealers get their businesses going with a table at the local swap meets and basically just handed out their business card and a small product display. This also gets you out where you can start learning common concerns and questions to later get prepared for. This approach can work for a part time business. One of the top dealers with commercial accounts built their entire business while working a professional job. They warehoused product locally and knowledge of the superiority of the product grew through references. Other AMSOIL businesses are more simpler than any of the above suggestions. Some only join to give the best deal to their friends or a local car club, etc. In summary there are no limits to how far you can take your AMSOIL business. As general product knowledge, demand and advertising increase it will continue to get easier and for some it’s just a matter of supply. Call around and see if there are any other dealers in your area who has proper supply on hand for a Saturday pick-up. Most importantly AMSOIL demand is driven by the fact that the products perform as advertised. Think big! Get your AMSOIL products in all the area independent shops and stores. Be the source for all the commercial fleets to get their AMSOIL supply and enjoy the awesome commissions and growth that comes from being along for the ride! AMSOIL Income Opportunities Guide PDF.